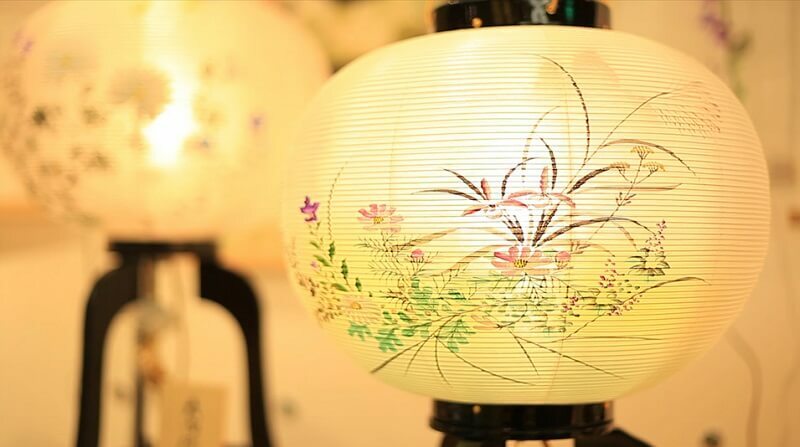 Yame paper lantern has more than 200 years of history. 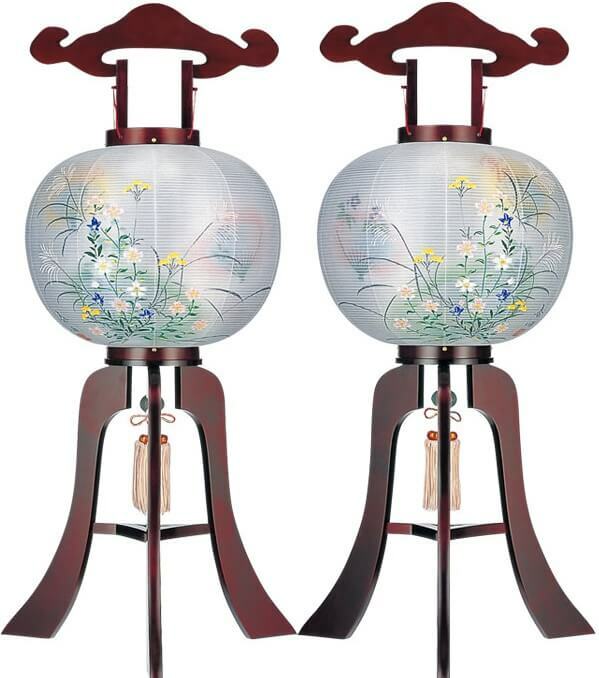 It has beautiful translucent lantern body on which traditional drawing of birds, flowers and trees. Lantern body called “Hibukuro” is made of thin Washi Japanese paper also made in Yame area. Basically, the framework of a paper lantern is made from spiral single bamboo stick. This structure is called “Ichicho spiral form”. Craftsman gradually bends thin bamboo stick along with lantern body form, followed by cover them with thin paper for from elegant paper lanterns. 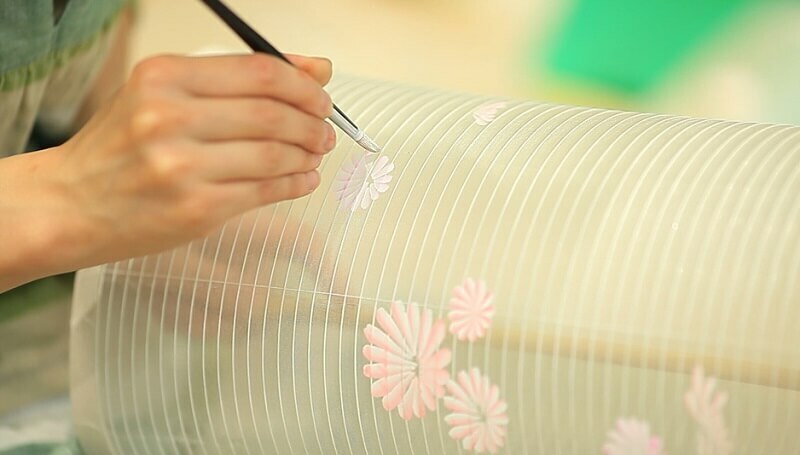 This process is said to be the origin of traditional-style paper lanterns in Japan. This type of lantern is mainly used for the bon festival in the Summer. During the festival, it is believed that ancestors come back from the heaven. Bon lanterns are set for ancestors in order that they can straight back to right home.